The ministers from BASIC grouping (Brazil, South Africa, India and China) welcomed the large number of ratifications under the United Nations Framework Convention on Climate Change (UNFCCC) achieved to date and requested remaining parties to the UNFCCC to ratify the Agreement at an early date. 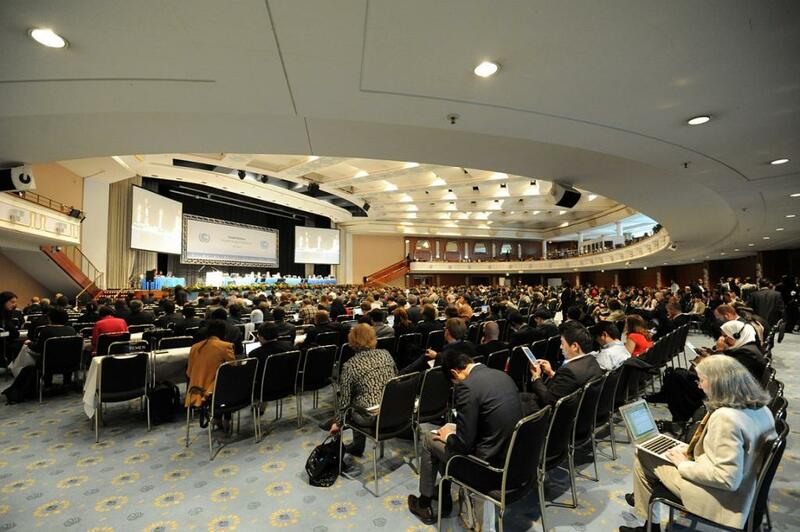 In a joint statement issued at the conclusion of the 25th BASIC Ministerial Meeting on Climate Change held in Bonn on November 13, the ministers underlined their “highest political commitment to the full, effective and sustained implementation of the Convention, its Kyoto Protocol and the Paris Agreement in all their aspects”. Reiterating that work on both the pre-2020 and post-2020 should be in full accordance with the principles of equity and common but differentiated responsibilities and respective capabilities, the BASIC ministers underscored the need for “advancing textual negotiation in order to produce a “comprehensive, party-driven negotiating text covering all the matters related to the implementation of the Paris Agreement at COP 23 that can serve as the basis for negotiations in 2018”. The ministers emphasised that climate adaptation is an issue that needs an urgent global response and urged developed countries to provide adequate support to their developing counterparts in meeting the cost of their adaptation actions. “The extent to which developed countries will provide sustained, predictable and adequate finance, technology development and transfer and capacity-building support to developing countries will determine the extent to which developing countries are able to contribute their highest possible ambition towards addressing the global challenge of climate change,” said the joint statement. Ministers further urged developed countries to honour their commitments and increase climate finance to at least $100 billion per annum by 2020. The BASIC grouping expressed their “deepest concern” over some developed nations’ attempt at unilaterally applying new eligibility criteria for developing countries’ access to funding under the Global Environmental Facility and the Green Climate Fund. Such criteria, according to the ministers, “are not compatible with guidance from the Conference of the Parties and are a departure from the letter and spirit of the Convention and its Paris Agreement. "Climate finance is one of the issues being pushed by Indian negotiators; others are climate justice and differentiation of responsibilities. The underlying thread is to put our perspective of equity upfront. We all know that matters of finance are being obstructed by some parties and we are very clear that rules that have been agreed upon cannot be changed and we are completely against ad-hoc changes. It cannot be that some (parties) just decide that countries considered eligible for financial assistance earlier are now suddenly not eligible anymore," said CK Mishra, secretary at the MOEFCC, ostensibly referring to emerging reports that developed nations, including the US and EU, had been working together to stifle progress on facilitating financial commitments from developed to developing nations. Expressing concern that pre-2020 gaps exist not only in mitigation, but also in adaptation and support to developing countries, the ministers noted that urgent implementation of pre-2020 commitments is a prerequisite for mutual trust among Parties and for building a solid foundation for post-2020 implementation and ambition. "The pre-2020 agenda is an important one for BASIC countries and is being pursued. How these will be carried out will depend on further consulations, but we believe that it is important moving forward," said Mishra during an interaction with the Indian media.